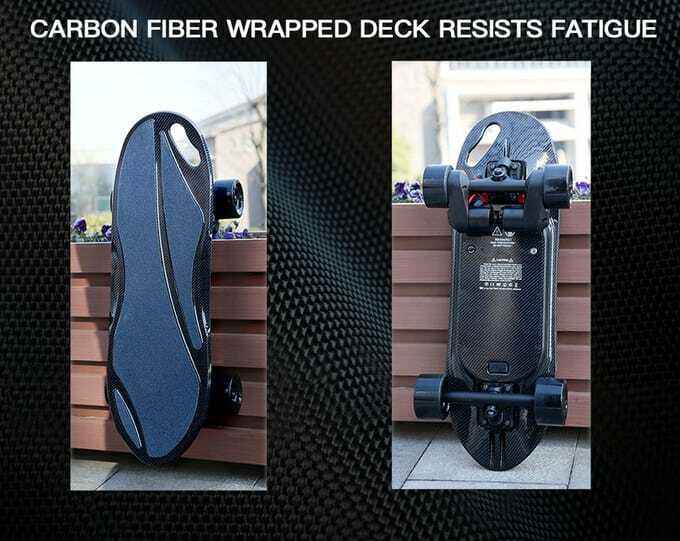 iFASUN has created a small electric skateboard equipped with a dual motors and constructed from carbon fibre. Providing speeds of up to 22 mph or 35 km/h with three driving modes allowing beginners and professionals to get the most from their KingKong Pro electric skateboard. Watch the demonstration video below to learn more about the affordable electric skateboard which has this week launched via Kickstarter with super early bird pledges available from £215 or $299 approximately. 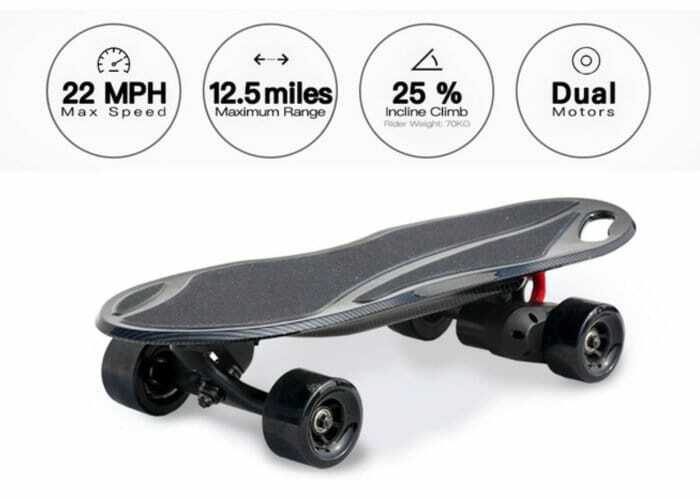 Thanks to its integrated 4300 mAh rechargeable battery the electric skateboard is capable of travelling 12.5 miles or 20 km on a full charge and thanks to its powerful dual motor configuration, and is capable of climbing inclines up to 25 percent (tested with a rider of 75 kg). iFASUN has provided two ways to control your electric skateboard, either using the handheld remote control or using the companion application on your smartphone. The companion application is supported by both iOS and Android devices and allows you to control the speed, brakes and acceleration. Another handy additions are the colourful LED lighting which allows you to be seen at night, and a USB connection that allows you to charge your smartphone directly from the electric skateboard battery if needed. If all goes well worldwide shipping is expected to take place during June 2018. For more information, full specifications and a list of all pledge options available, jump over to the official KingKong Pro skateboard crowdfunding campaign page by following the link below.